1.35PM: TWO people were transported to Gladstone Hospital after the car they were travelling in rolled on the Dawson Highway. Both were transported in a stable condition after the car they were travelling in, along with a caravan, rolled 10km west of Calliope. A woman in her 50s sustained burns to her leg as well as minor abrasions and a man in his 60s was unsteady on his feet, with no obvious physical injuries after the incident. 12.15PM: ONE lane of the Dawson Highway is being opened after a car towing a caravan rolled near Calliope this morning. The car rolled 10km west of Calliope at 11.30am, causing the highway to be blocked for a short time. Queensland Ambulance confirmed two people were involved in the incident and were assessed by paramedics on the scene. A woman in her 50's sustained burns to her leg and minor abrasions and a man in his 60s was reportedly unsteady on his feet with no obvious injuries. 11:45AM: A CAR towing a caravan has rolled on the Dawson Highway west of Calliope this morning. Queensland Ambulance have said they were notified of the incident at 11.30am and have just arrived on scene. 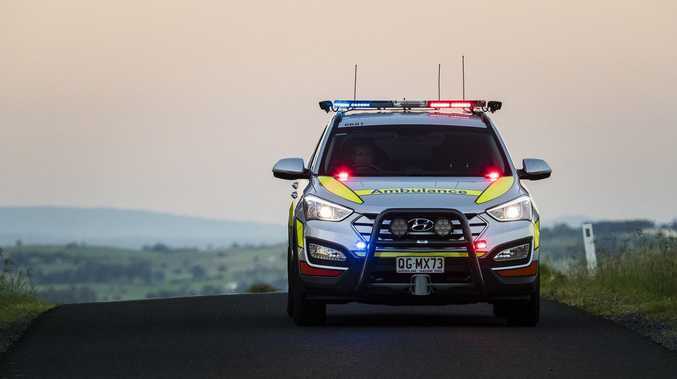 Initial reports indicate there were two people in the car when it rolled, 10km west of Calliope, but they are believed to have gotten themselves out of the car. All emergency services have been notified.